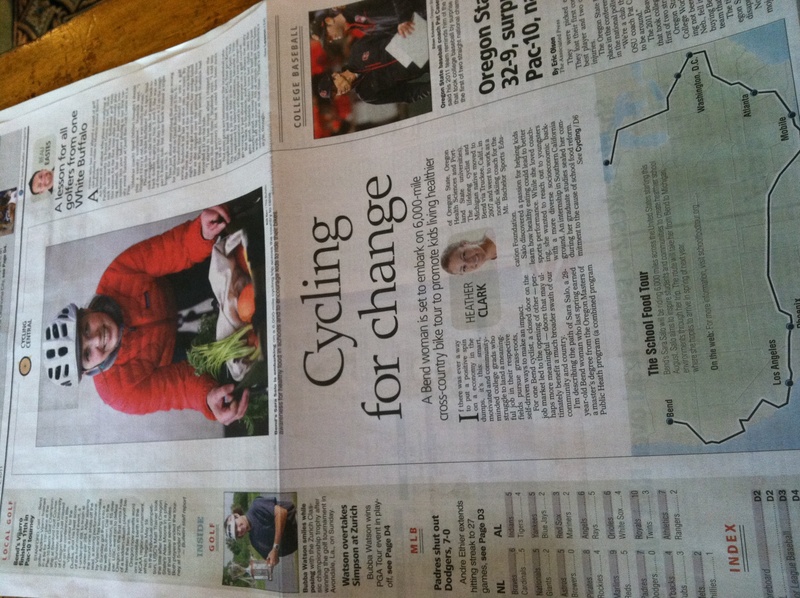 Pop quiz: What is featured in the Bend Bulletin’s Monday cycling section? Thanks to Heather Clark for her great coverage! Hi Sara, Read your article in the Bulletin. Sounds like a great cause and an amazing bike ride. I’m not sure how I could help but I’ll keep up on your blog. I am also originally from the UP. I grew up in Munising, but went to school in Chicago (years ago..I’m 65 now). Moved to SF and then moved to Truckee in 1980. Our grown children live in Bend so we moved here 6 months ago. I’m looking forward to riding my bicycle in the Bend area it seems to be a real bike friendly town. Thanks so much for the note! It always makes my day to hear from a fellow Yooper; and even better that you’re from Truckee! I coached nordic skiing at the Auburn Ski Club for years before I relocated to Bend so the Tahoe area is close to my heart. I hope you enjoy the riding here in the Cascades – it’s beautiful!